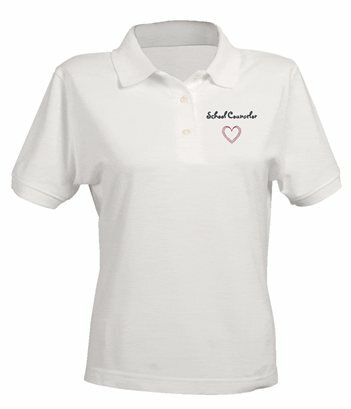 Show your school counseling pride in a professional polo! Pre-shrunk 6.5 oz. 100% ring spun cotton, classic contoured silhouette. Soft fashion knit collar, three high gloss pearlized buttons and welt sleeve bands. Pre-shrunk 6.5 oz. 100% ring spun cotton, classic contoured silhouette. Soft fashion knit collar, three high gloss pearlized buttons and welt sleeve bands. Available in Navy, Black, and White. Mens School Counselor Green, Yellow, Red Hands Polo Pre-shrunk extra heavyweight 6.5 oz 100% ring spun cotton. Soft fashion knit collar, three woodtone buttons and welt sleeve bands. Double needle bottom hem.